Fa La La La La La La La Latke! As we wind down Thanksgiving each year, it seems like a silent alarm goes off to announce the commencement of the holiday season. Lights sparkle in the yards of many houses on the block, presents stack up under trees in living rooms, and the familiar sound of jingly bells permeates the radio. While some Jews find it hard to relate to the holiday season, the fact is, we’ve had more of an impact on Christmas than one might think. Have you ever wondered what genius came up with the popular lyrics and tune to the beloved “Santa Claus is Coming to Town”? The answer might surprise you. While Jews have made their way into contemporary popular culture by way of Sarah Silverman, Gal Gadot, and Seth Rogen, an astonishing number of Christmas carol songwriters are also members of the tribe. While Jewish lyricists and composers helped create some holiday magic for others let us not forget all of the Jews who brought joy to our winter holiday. The a capella group The Maccabeats are famous for creating memorable Chanukah songs set to the tune of popular music. And while Adam Sandler’s “Chanukah Song” may not qualify as a true holiday anthem, it is at least a catchy melody that acknowledges all of the famous Jews who share the same heritage. While the festival of lights obviously does not share the same importance in our tradition as the High Holidays, it is still nice to see Jewish inclusion in the fun of the season. Although I, personally, am still on the fence about the Mensch on the Bench, it is the thought that counts right? The intersection between Chanukah and Christmas time can be seen in not only pop culture, but everyday life. Around the holidays popular grocery stores such as Trader Joe’s, and Costco start to show a little more “ruach” in the Chanukah section. Next to the sugar plums and advent calendars lie frozen Latkes (not as good as the ones Bubbe makes, but still) and kosher gelt. Sometimes it is easy to fall victim to the Holiday blues, especially as a religious minority. In a world where seemingly everyone else is shown in pop culture except for us, be mindful of all of the ways that Jews are represented in the holiday season. 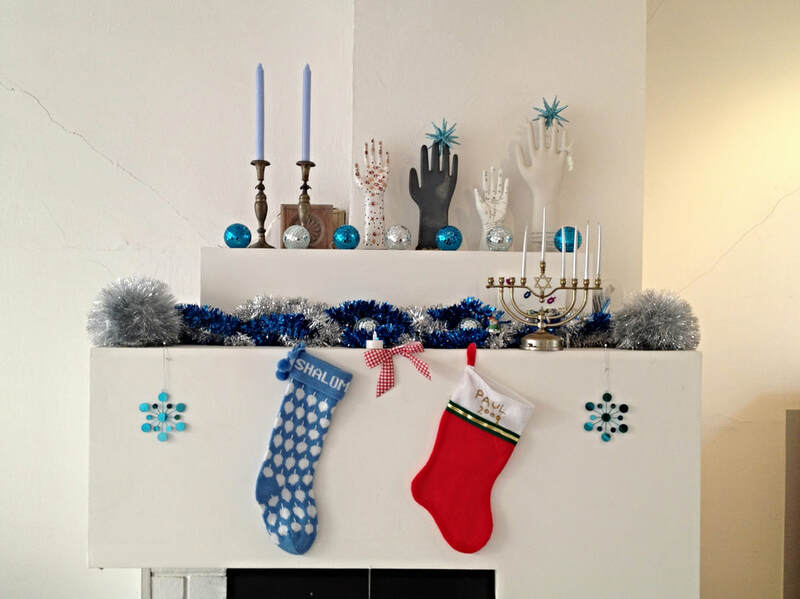 In the midst of all of the sleigh rides and snowflakes we should feel proud of all that our fellow Jews have contributed to other folks’ happiness during the holiday season.